Iso Dedusaj, left, the owner/manager of the Fairfield Cafe, and chef Charles Williams, will provide some of the foods showcased at the April 7 Spring Fling sponsored by the Fairfield Chamber of Commerce. The Fairfield Cafe on Commerce Drive is among the local restaurants whose fare will be featured in April in the annual Spring Fling sponsored by the Fairfield Chamber of Commerce. The event will take place April 7, from 6 to 10 p.m., in the Burr Homestead on the Old Post Road. Iso Dedusaj, the owner/manager of the Fairfield Cafe, also owns the Gelston House restaurant in East Haddam. Born in a poor family, he was raised in Montenegro, a republic bordering that Adriatic Sea, Serbia and Croatia that gained independence in 2006. His homeland's traditional cuisine is a variation of Mediterranean and Oriental, with influences from Italy, Turkey, Greece and Hungary. But Dedusaj, who learned to cook from his mother, described the cuisine at the Fairfield Café as "American with an international flair." "I am so happy to be here," he said in a statement. "I love this country. I love the people here in Fairfield. I love to give away. I am so lucky." 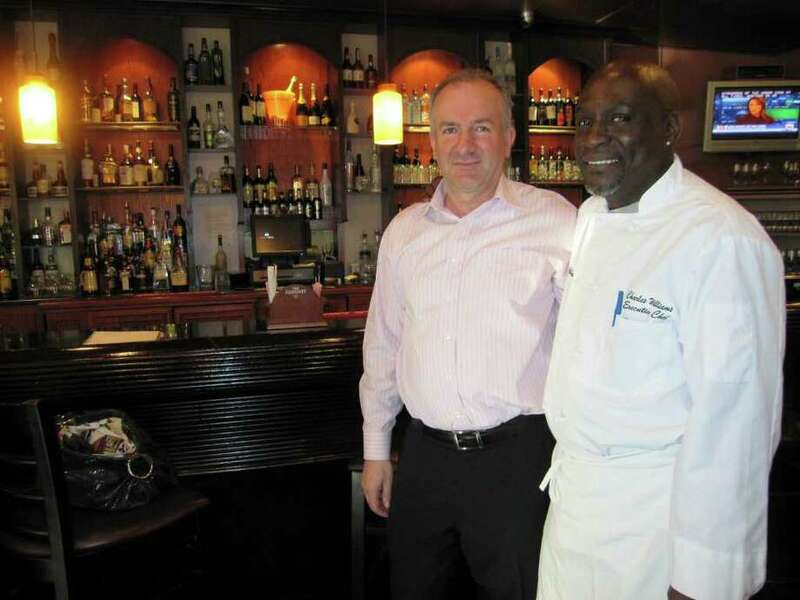 Dedusaj's chef, Charles Williams, has been in the business for 45 years and has worked in restaurants that include Avon Old Farms Inn in Simsbury and others out of state. Williams' offering for the Spring Fling will include Maryland crab cakes and bruschetta topped with figs and blue cheese with a balsamic glaze. Other local restaurants participating in the event include Coromandel, Greenhouse Grill, Old Post Tavern and Vino on the Brickwalk. A wine tasting will be provided by Greenfield Liquor Grapes & Hops. For reservations, contact the Fairfield Chamber of Commerce at 203-255-1011.